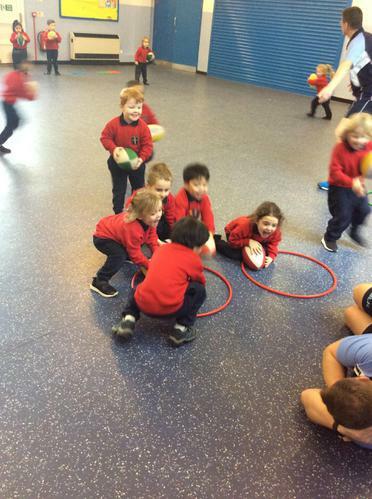 Tuesday afternoons are our favourite! 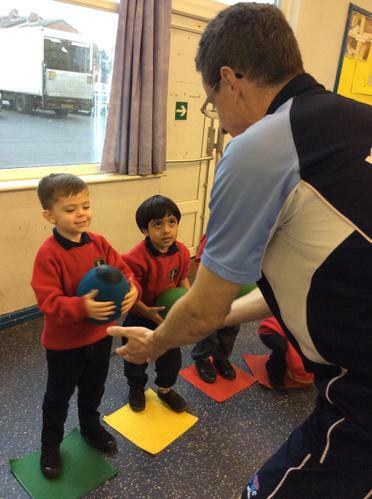 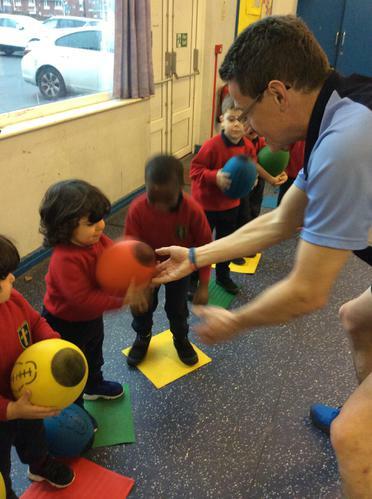 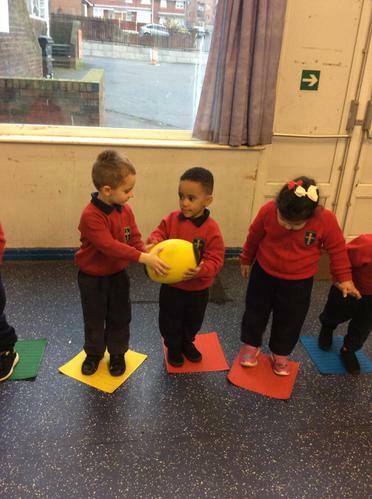 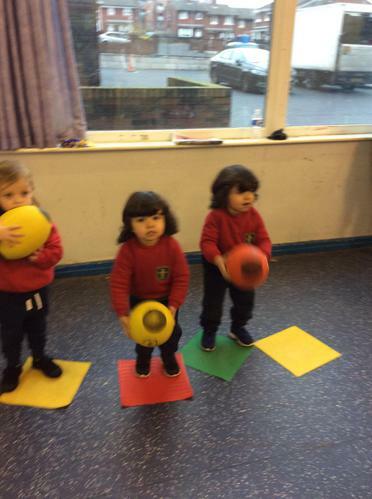 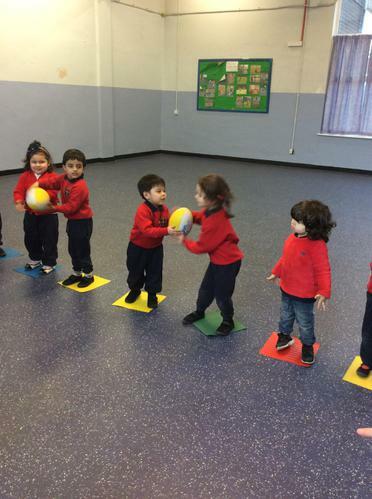 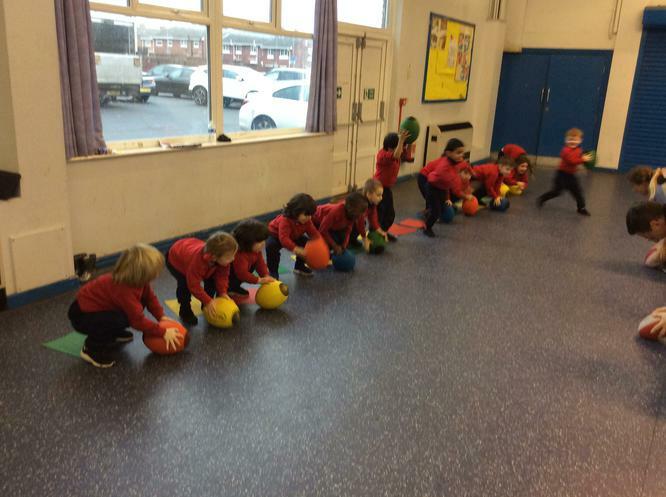 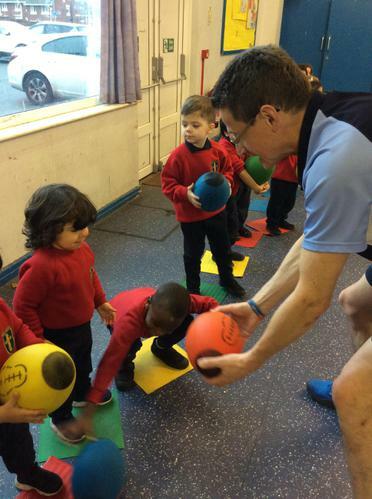 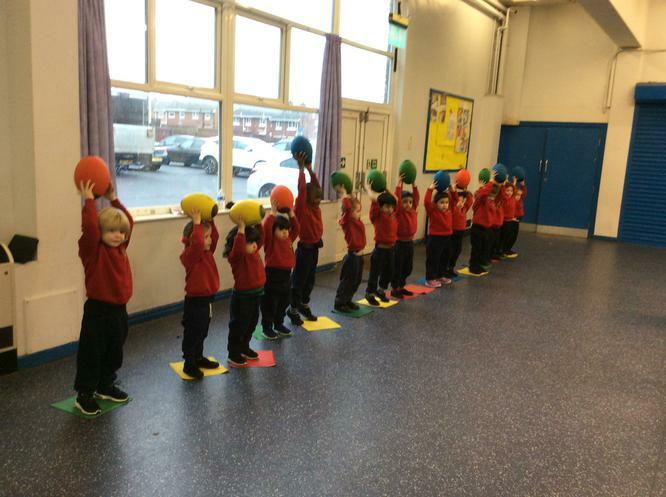 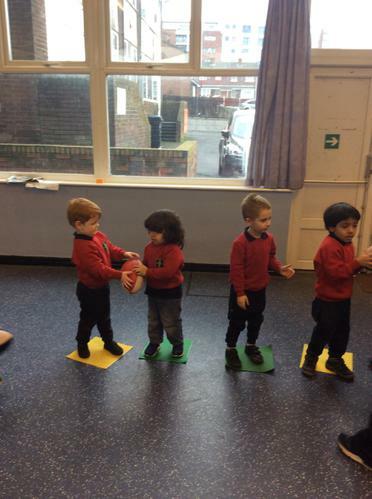 On a Tuesday afternoon, the children have started taking part in Rugby Tots sessions, the children thoroughly enjoy going and everyone gets involved. 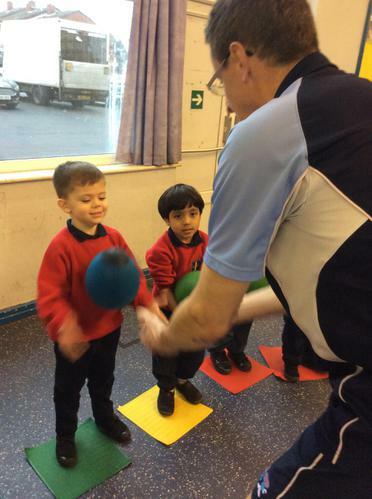 We have lots of FUN, we work as a team and we listen carefully. 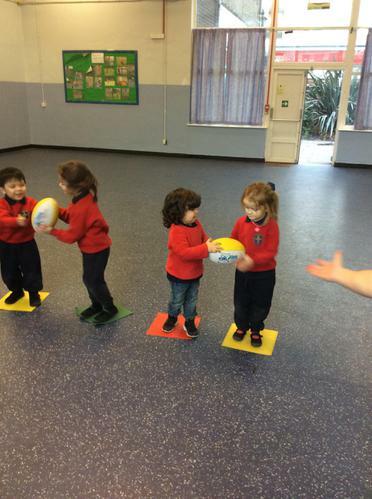 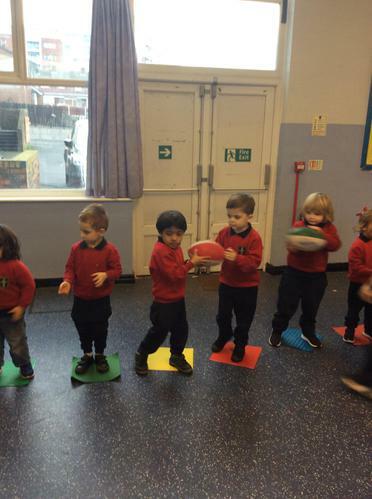 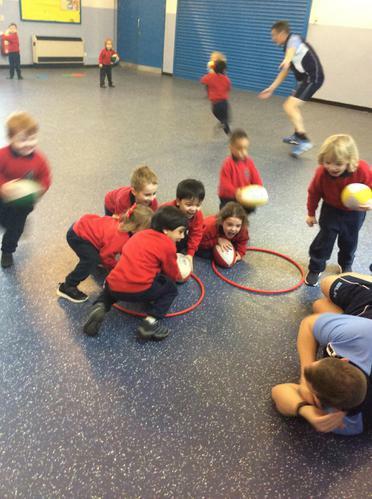 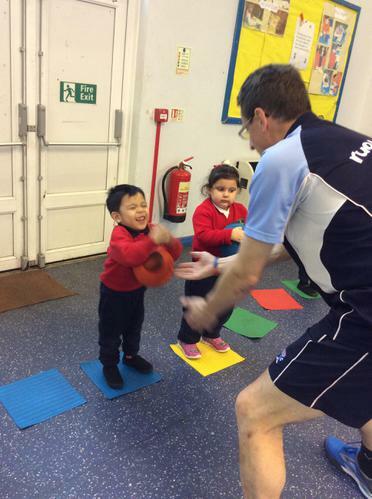 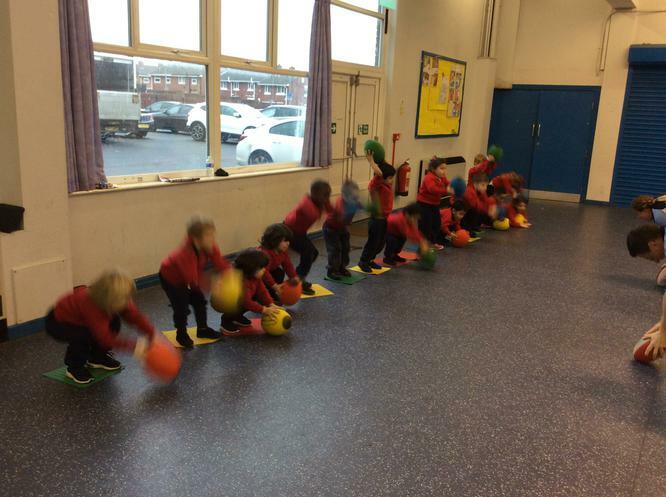 Rugby Tots encourages our physical development and we practice lots of throwing, catching, running and jumping! 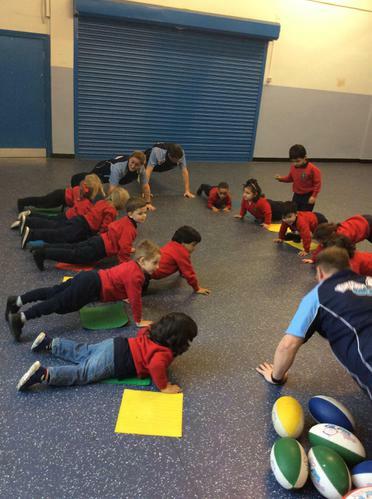 We are so good at it that we have lots of Rugby Tots stickers for working so hard!